Migraine is a common neurovascular disease associated with vascular risks, especially in young adult females, but the mechanism underlying these associations remains unknown. This study evaluated the relationships between plasma endothelial dysfunction biomarkers and carotid intima–media thickness (IMT) in young adult females with migraine. This case–control study included 148 female patients (age range: 18–50 years). Migraine was diagnosed according to the International Headache Society-IIIb criteria. Endothelial dysfunction biomarkers, such as von Willebrand factor (vWF), C-reactive protein (CRP), homocysteine, total nitrate/nitrite concentration, and thiobarbituric acid-reactive substances (TBARS), were evaluated in plasma. Carotid IMT was measured by a radiologist with sonography. 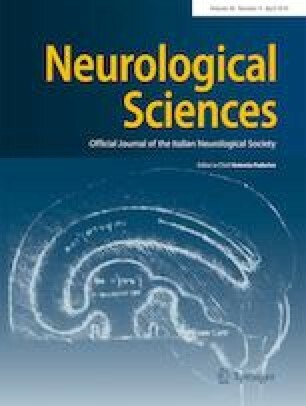 The CRP, TBARS, vWF, and IMT levels were increased in the migraine compared with the control group (p < 0.001, p = 0.02, p < 0.001, and p < 0.001, respectively). After adjusting for confounders, multiple linear regression analysis revealed that systolic arterial blood pressure, CRP, vWF, TBARS, and right and left internal carotid artery (ICA) IMT were independently positively correlated with migraine (p < 0.01, p = 0.004, p = 0.023, p = 0.024, p = 0.032, and p = 0.048, respectively). Multiple logistic regression analysis revealed that right ICA IMT was independently associated with ergotamine and triptan and left ICA IMT was independently associated with ergotamine (p = 0.013, p = 0.026, and p = 0.017, respectively). In addition, significant correlations were found between LDL lipoprotein and carotid IMT in the migraine group (p < 0.05). Carotid IMT enhancement and elevated TBARS, vWF, and CRP levels in migraine subjects during a migraine attack could be regarded as consequences of migraine attack pathophysiology. The independent associations between triptan and ergotamine consumption and enhanced carotid IMT suggest that repeated use of these vasoconstrictive antimigraine agents may have additional effects on carotid IMT. A.Y.A. and M.H.A. conceived and designed the study; E.T. measured the carotid IMT; S.A. acquired and analyzed the laboratory data; M.A.T analyzed the statistics; A.Y.A. acquired and interpreted the data and wrote the paper; A.Y.A. and U.C. critically revised the manuscript for important intellectual content. This study was supported by the Baskent University Research Fund. The study was approved by the Baskent University Institutional Review Board and Ethics Committee (project no: KA15/133) and conducted in accordance with the Declaration of Helsinki. All M and control subjects gave informed consent for participation in the study and for carotid artery Doppler ultrasound and laboratory tests. The study was approved by Baskent University Institutional Review Board and Ethics Committee (project no: KA15/133) and conducted in accordance with the Declaration of Helsinki of 1964.